Don't let your PC or MAC get worse! To the surprise of very few, technology research company Gartner Inc has revealed that Apple iPads accounted for 66 percent of global tablet sales in 2011, with approximately 40 million devices sold. The Associated Press reports that the computer manufacturer is expected to maintain that dominance through 2012 as well. However, despite these impressive figures, Apple has reportedly fallen short of it profit goals. According to Computerworld, Apple announced a record high in iPad sales in the last three months, jumping to 17 million tablets sold around the world. 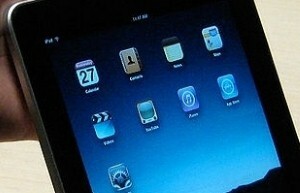 Even though the units sold increased by just over 10 percent compared to the previous record – 15 million in 2011 – profits from iPad sales only rose by 2 percent. That discrepancy could be partially responsible for the fact that Apple's overall revenue this financial quarter was not as substantial as Wall Street analysts had predicted. That doesn't mean that the tech giant is in trouble though. Though it may not have quite met expectations, the company still made over $8 billion in this period. Comparatively, while the mobile tablet has fared especially well in the last year, Apple's less portable Mac devices have not seen the same rapid growth. The source notes that sales of devices running Mac OS have actually decreased by 3 percent compared to this time last year, while iPad purchases rose by a whopping 84 percent. This boost may be due to the general public's increasing familiarity with mobile devices, which, initially, were seen by some consumers as novelty items. Whether you own one of Apple's mobile devices, or are a stalwart Mac user, you still may need a bit of technical assistant now and then. 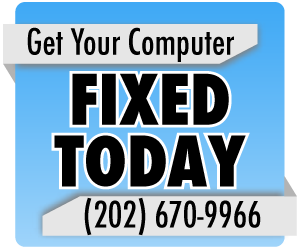 The technicians at Geeks On-site are experts when it comes to tablet and Mac repair, so if you live in Maryland, Virginia or Washington, D.C, feel free to contact them for computer repair service. Spyware, Adware, Viruses, Trojans, Worms, Oh My!